2. Do your research. Research the company, the person interviewing you and the industry. Nothing frustrates an employer more than an unprepared candidate. 3. Review your resume. Take note of your significant experiences and accomplishments that you can use to support your interview answers. The interview is not the time to be mining your brain for examples. 4. Know your strengths, and be able to articulate them. Saying that you are a great problem solver won’t cut it. Describing for the interviewer the time that you solved the problem, and the results you created, will. 5. Practice your answers. Interviewing well is far harder than you think, and it requires lots of practice. Practice your responses out loud in the shower, in your car, to your dog, or ask a friend to help you. 6. Schedule for success. If practical, schedule the interview so you have ample time to prepare. Avoid scheduling any other important commitments prior to, or immediately following, the interview. Make sure you also have plenty of time to take those rumpled clothes to the dry cleaner. 7. Always be on time. There is a saying that if you’re early, you’re on time, and if you’re on time, you’re late. Being late only adds to your interview-day stress and instantly decreases your chances of getting an offer. 8. Be fully present. When you are interviewing, you need to be 100 percent focused on being in the room with the interviewer, listening intently. Leave your cell phone in your car. You can live without it for an hour. 9. Be nice to everyone. Likeability is often what tips the scales in your favor over your competition. 10. Send a thank you email within 24 hours of the interview. Tailor your thank you note to include one or two things the interviewer said during the interview. Reiterate your interest in the position, and state why you’d make a great hire. Hopefully, these tips will help you feel more confident when interviewing. 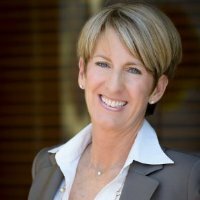 Lisa R. Miller is founder and chief career catalyst at C2C, College to Career, where she helps college students, recent graduates and young professionals navigate the transition from college to career faster and with more confidence. Prior to launching C2C, Miller enjoyed a 25-year executive career with Hannaford Supermarkets. Learn more about launching a job search and developing strong interview skills at the upcoming C2C College to Career Boot Camp, to be held June 2-3, in Falmouth, Maine. Participants will craft compelling resumes and cover letters, create LinkedIn profiles that earn attention, learn to avoid job-killing social media mistakes, and get coaching on the art and science of job interviewing. The C2C Career Boot Camp also includes a panel of employers, who will discuss what they seek in job applicants, as well as common pitfalls and how to avoid them. Panelists include Dana Maletzke, director of human resources at Diversified Communications; Laura Peterson, a staffing consultant at Unum and Colonial Life Insurance Companies; Sara Spugnardi, a retail recruiter at L.L. Bean; Christy Hillman, a senior technical recruiter at NTT Data, Inc.; and Claire Remetter, senior manager of business operations at Liquid. Josh Atticks, owner of LifeSessions Photography, will be on hand to offer participants discounted professional business portraits. For more information on the event, visit www.c2ccollegetocareer.com/events.